This is the first in a 3-part blog series that will detail how deploying a business-driven SD-WAN edge platform can help enterprises successfully accelerate multi-cloud digital transformation initiatives. For a growing number of enterprises, a migration to the cloud is not a simple matter of deploying an application or two onto Amazon Web Services (AWS), Microsoft Azure, Google Cloud Platform, Oracle Cloud Infrastructure or some other hosted service. It’s now a multi-cloud strategy that’s a key part of a digital transformation initiative aimed at modernizing business processes. Using multiple cloud computing services such as infrastructure-as-a-service (IaaS), platform-as-a-service (PaaS), and software-as-a-service (SaaS) in a single unified cloud strategy offers the ability to reduce dependence on any single vendor. According to a recent survey by RightScale, 81 percent of enterprises have already adopted a multi-cloud strategy. This includes a range of private cloud, public cloud and SaaS cloud services that provides their developers and end users the flexibility to run applications on the most appropriate IT infrastructure. AWS prefers that enterprises use its Direct Connect service, a dedicated private connection, to directly connect an enterprise’s data center to one of AWS’s data centers. Microsoft offers its EXPRESSROUTE service to connect to Azure. These connectivity options work in theory provided that there is a solid connection to the internet which requires the enterprise’s service provider to provide a dedicated connection service to AWS or Azure as well. Most internet links experience latency and performance issues with cloud applications accessed from remote branch offices where the data has to be backhauled to the data center or to a service provider PoP. This is particularly prevalent for remote international locations. Deploying DIY direct connections to each cloud provider can also become expensive to implement if it includes connecting all of the branch offices directly to each of the cloud providers. So how do enterprises cost-effectively connect their remote branch office sites to these multi-cloud services without compromising performance, security and the end user experience? 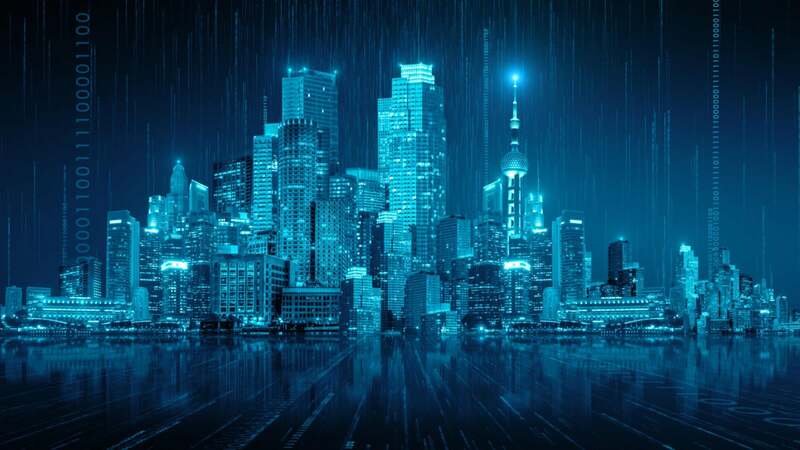 Here’s where the right SD-WAN platform can play an integral role in rapidly enabling all enterprise branch offices to connect to any of these cloud providers and do so either as DIY or as part of a high-performance managed SD-WAN service. An SD-WAN platform must have the capability to identify, classify and steer traffic types, including cloud-based applications. For example, QoS and security policies often vary significantly among real-time traffic, like voice and video, mission-critical SaaS applications, such as Salesforce or Office 365, large file transfers, such as data replication and basic email. Since many cloud applications are business-critical, it is also essential to select an SD-WAN platform that supports high reliability, high performance and one that can deliver the highest quality of experience to the end user. And, it must comply with appropriate enterprise security and compliance policies and mandates. In fact, the Silver Peak Unity EdgeConnect™ SD-WAN edge platform is one of most widely deployed enterprise SD-WAN solutions today. EdgeConnect effectively optimizes SaaS and IaaS performance through an application-aware direct connection to the internet via a broadband network. 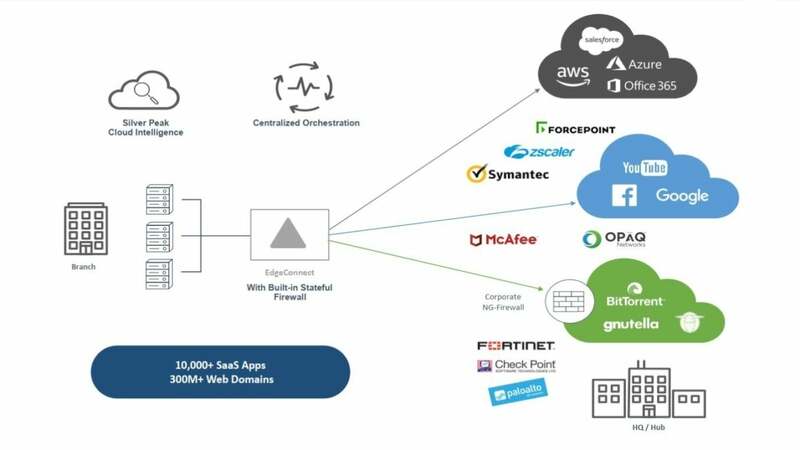 Application awareness enables the EdgeConnect platform to identify and classify web-bound traffic at the application level, enforcing a range of centrally orchestrated security policies on an application-by-application basis. For example, trusted SaaS apps can be automatically steered directly over the internet while recreational or unknown apps can be directed to more advanced security services in the cloud, or to next-gen firewall infrastructure in regional hubs or the headquarters data center. A SD-WAN solution may be deployed internally by IT teams with the help of channel partners, system integrators or by a service provider as a managed SD-WAN service to enable access to cloud applications and services. In my next blog in this series, I will examine how an SD-WAN platform can enable managed service providers and system integrators to offer high-performance multi-cloud connectivity solutions to enterprises. Learn more EdgeConnect SD-WAN edge platform at the Silver Peak web site.